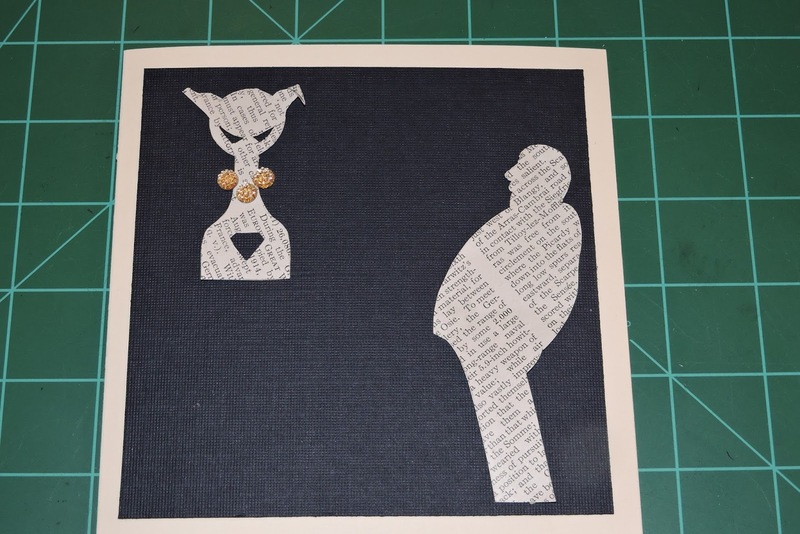 Lorraine Masonheimer has created a series of Hitchcock-themed blank notecards to celebrate the master of suspense and the books that inspired him. The five piece set includes Rear Window, The Birds, To Catch a Thief, Dial M for Murder and Psycho. Today’s card is To Catch a Thief. Cut an 8 ½” x 11” cardstock to 5 ½” x 11”. Score at 5 ½” and fold in half. Cut the dark solid paper to 5” x 5” and glue to the front of the card leaving an equal border. Using scrap cardstock, draw a 1 ¾” x 4 ½” Hitchcock. 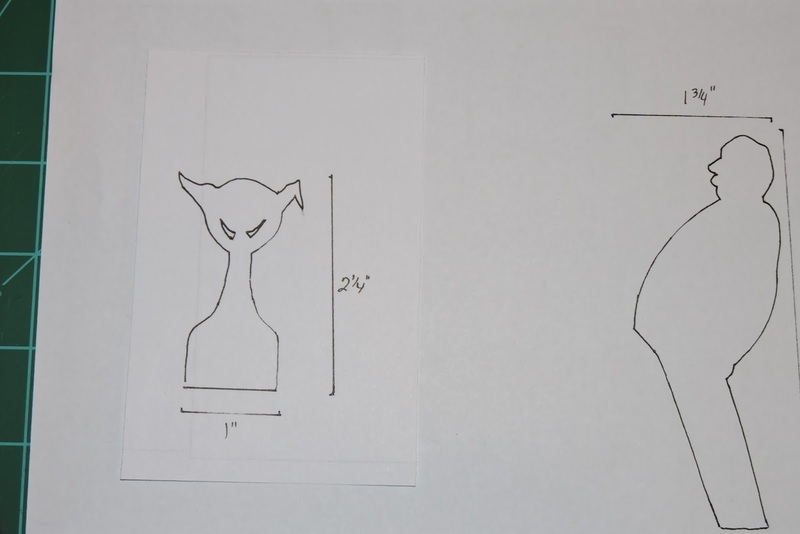 Draw a 1” x 2 ¼” cat. If desired, place your cursor over this image, right click, scroll to “Save Image As” and place it onto your computer desktop. Open a word document, create a textbox, insert the image to size, print and cut. 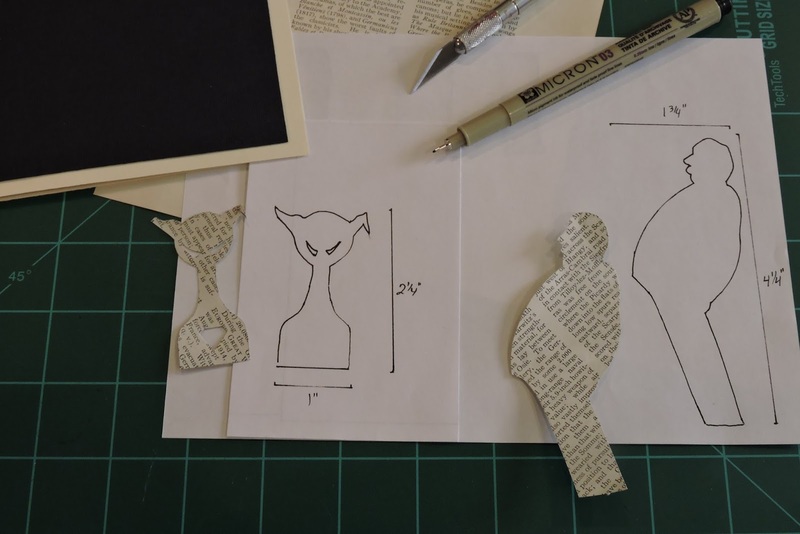 Keep the Hitchcock outline to make the complete set of notecards. Take a page or copy of a page from a book (1952 To Catch a Thief by David Dodge would be even better selecting just the right words) and trace the outline of Hitchcock and the cat as shown. Using the x-acto blade, cut the two images from the text taking care to accentuate Hitchcock’s double chin. If desired, cut the images with the type at an angle. Glue Hitchcock to the lower right side and the cat to the upper left side. Place 3 rhinestones or pearls around the cats neck to form a necklace. Either leave the inside blank for writing a note or add stealing a moment to say hello. 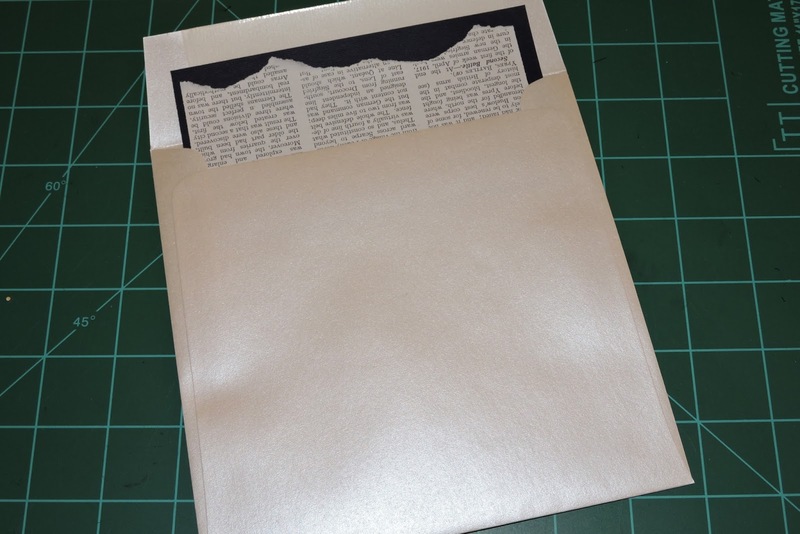 Glue a 5 ½” x 2” scrap of the dark colored paper to the inside flap of the envelope. 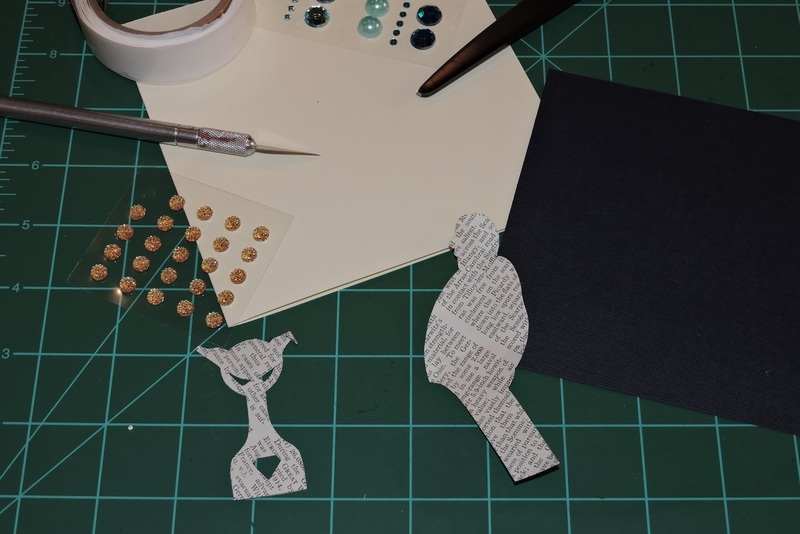 Take a 5 ½” x 2” piece of left over book page, tear along the top and glue to the dark paper for a custom envelope.